What a beautiful Bear! 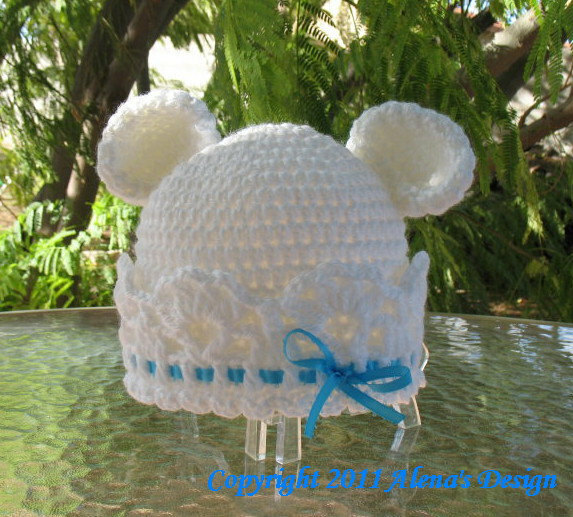 Crocheted bear ears and lace brim make this hat look cute and adorable. 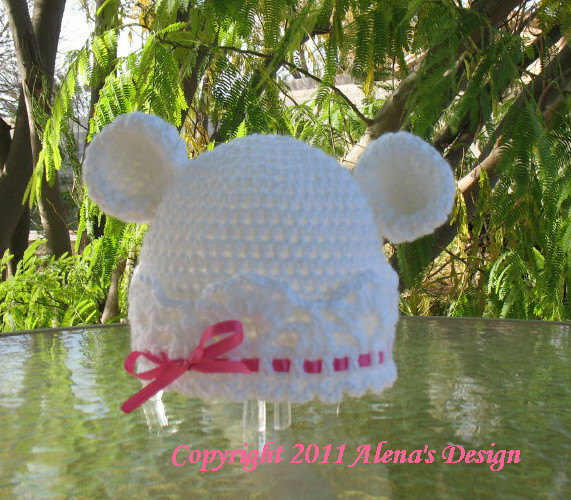 This pattern is a primary component of my crochet set consisting of Bear Hat, White Lace Top Booties, Baby Thumb-less Lace Cuff Mittens and Baby Blanket. 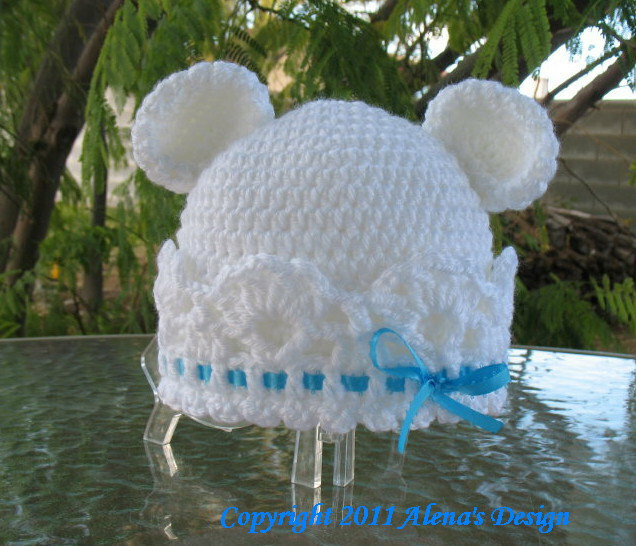 Can you just imagine how your child will be looking in this White Bear Hat, and how many compliments and memorable pictures you will have as keepsakes?